The hot days of summer are coming close and it’s time to prepare for the heat. Air conditioners and coolers are a good thing but you don’t need all these electronics to keep the atmosphere of your home cool. You just need a premium quality blackout curtain that will maintain a calm and pleasant atmosphere. These curtains are the perfect drapes for summer as they have the ability to block the heat and light. You can choose from a wide range of blackout curtains online but the best is only available at homedrape.com. Made from the finest quality faux silk and woven with adequate thickness, these curtains are strong and have a thick texture. You will definitely enjoy sitting behind these curtains as they completely obstruct the heat and light to pass through. Cover your doors and windows with these curtains and see the magic happen. Your room will turn into a dark and cool place when you have all your doors and windows draped with these curtains. Here, you can relax, sleep, meditate or watch TV in comfort without any interruption of bright light. Besides obstructing the light, these curtains can drop the temperature of the atmosphere inside your room by up to 5 degrees. 5 degrees doesn’t seem much but with comparison to the pollution and humidity outside, your interiors will have a calm and cool atmosphere. Besides blocking the heat and light, it also helps to reduce the amount of noise entering your home. You will definitely notice a calm and peaceful ambience as soon as you drape your windows. Moreover, you can also give a decorative touch with these curtains as they come in bold and bright colors. Eyelets are also premade on them which makes sliding very easy. 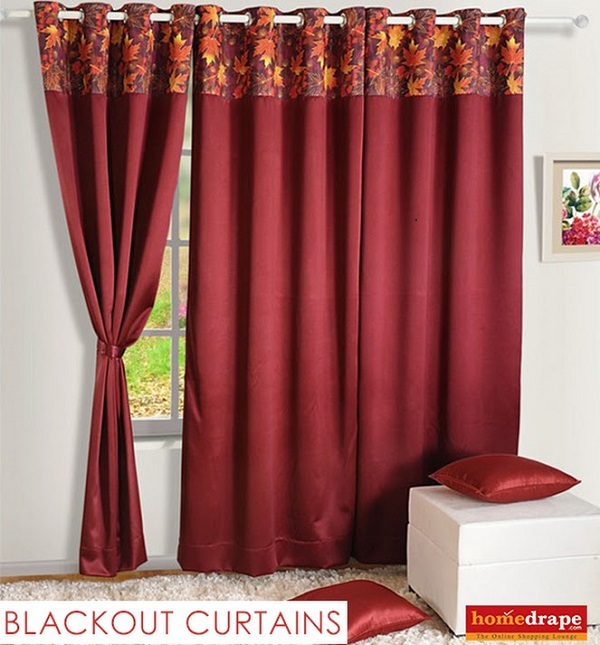 If you have the desire to spend the summer in a calm, cool and shady place, then you should definitely buy blackout curtains.